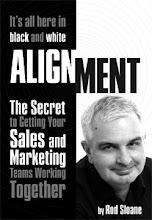 Sales and Marketing Alignment Blog from Rod Sloane: Why you need to be Irish? 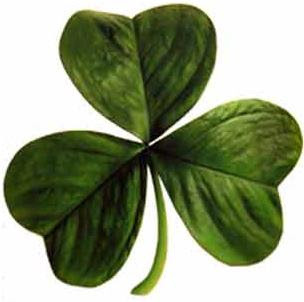 Happy Saint Patrick’s Day to you. Twenty years ago that might have been a setup line for an old fashioned joke, but much thankfully has changed in that time. Ireland is now rightly seen as a sophisticated innovative country with one particular great resource. No, not the black stuff, it’s people, that’s Ireland greatest asset. I could claim to be Irish, but I’m not, even though my father and wife were both born there. I have all the normal hang-ups of all the English. Plus, I can never understand any of those Gaelic Sports or Aussie Rules. I have family in Dublin and so I do spend time over there, look at that, I call it over there! Now, you would have to be some type of superior, arrogant Englishman not to enjoy the company of the Irish. I’m not just talking about the craic, although do drop me a line as I know some great pubs close to Phoenix Park. No, it’s the people and what I enjoy is their love of live and curiosity in others. A typical Irish greeting is “Hi, how are yaa?” Maybe, I’m just gullible, but it sounds like they mean it. It’s never hard to have a conversation in Ireland, in fact it’s much harder to keep quiet. So what can a dull Englishman learn from this? It’s this….. be more approachable, more than ever in 2009, you cannot afford to be locked up in an ivory tower. Make yourself accessible, be friendly, be real, be….. Irish. Good Luck to Ireland in Cardiff this Saturday!